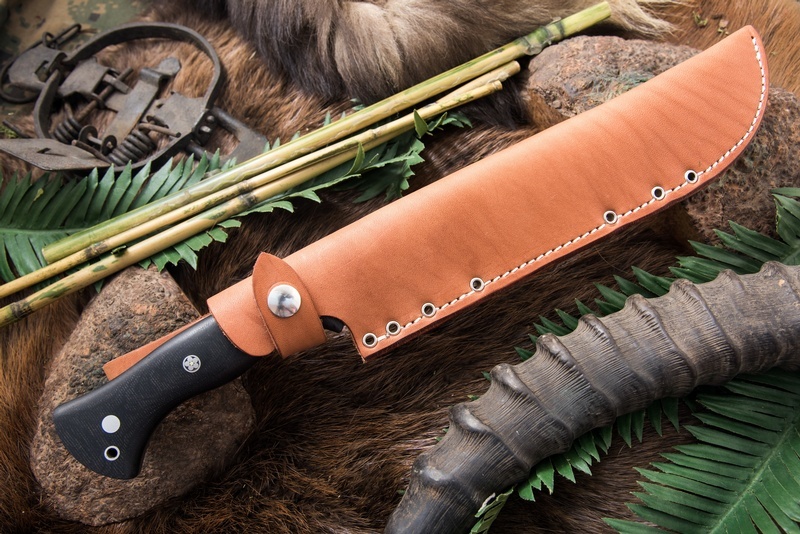 Barkrivers largest Knife run to date, the Grizzly 3V is a superb larger Outdoor knife, featuring excellent blade geometry, really superior balance for a larger knife, and of course, Barkriver quality fit and finish. The CPM 3V powder steel is tough (58-60HRC) and the edge it creates makes for a great Bushcraft tool. Full broad tang, solid slabs, solid pins. Handle grain may vary from the picture, but this is a good approximation. Purchase through PayPal by using the "Add To Cart" button above or use the form below to order the Barkriver Grizzly 3V Orange G10 . 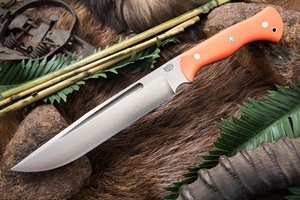 Feel free to contact us if you have any questions about the Barkriver Grizzly 3V Orange G10 .